Avoiding common mistakes while filing your return is both important for a peace of mind and to remain in peace with the Income Tax Department. Details like name, address (as written on the PAN card) and Aadhaar card number are essential while filing a return of income. These mistakes are easy to make while. A verification of the essential facts, including your name, address, the amount of tax, bank account details and other essential details will ensure that you avoid missing out on your tax credit or income tax refund. However, the department gives you a chance to correct these mistakes (if any) by filing a revised return. Using the wrong type of ITR is one of the most common mistakes. If you earn income from salary only, you should file your return in ITR 1 (Sahaj). Similarly, if you have a proprietary business, you should file your return in ITR 3 or ITR 4 [for FY 2016-17]. The Form numbers of ITR have been changed by the Income Tax Department for FY 2016-17 filing and are given on the department website incometaxindiaefiling.gov.in. We advise you to read the instructions carefully before filing. Always take care of quoting the correct PAN that you give to your employer or others who deduct tax at source. If the TAN of your employer (Form 16) or other tax deductors (Form 16A) and/or PAN details are incorrect, you will not be able to claim the TDS credit. Therefore, never forget to verify Form 26AS for the amount which has already been deposited by persons deducting tax on your behalf. Deductions are very important to reduce your tax liability. The government of India has given numerous deductions under section 80, including deductions for contribution in PPF account, deductions for expenditure on disabled persons and contributions to a charitable trust. Always include the deductions that you are allowed in the ITR. If you do not claim them while filing your taxes, the department will not allow the same. Exempted Incomes like interest from the Public Provident Fund, Dividend Income, Exempt Long Term Capital Gains, Agricultural Income, should be mentioned in the given relevant annexures to Income Tax Return forms. This will reduce unnecessary queries from the Income Tax Department. 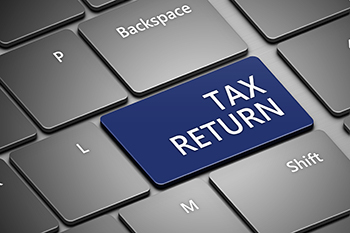 While e-filing the return of income, you are asked to digitally sign the return. In case, you don’t have a digital signature, the Government of India gives you the option to send duly signed ITR-V to the Centralized Processing Centre (CPC), Bangalore. The ITR-V has to be sent within 120 days of the filing of return via ordinary or speed post only. Alternatively, you can also e-verify your return online within the above time period. If you fail to do so, your return is treated as if you never filed it. So, avoid the mistake of not verifying your ITR-V.